Donald Trump is still leading the polls, but he's not alone when it comes to outsider candidates in the limelight this week. 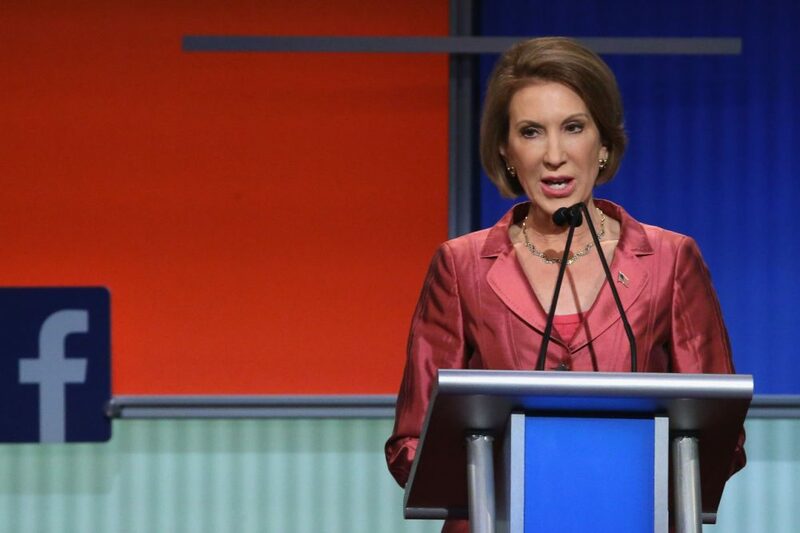 For the Republicans, former Hewlett-Packard executive Carly Fiorina and neurosurgeon Ben Carson are gaining. The far-left Democrat Bernie Sanders has also picked up while front-runner Hillary Clinton's polling numbers have taken a dip. Rumors are also floating in the Democratic field about the possible announcement of the current and former Vice Presidents Joe Biden and Al Gore. All of this comes as nearly every candidate from both parties are making their case to voters at the 10-day Iowa State Fair. Here & Now’s Robin Young and Jeremy Hobson discuss the latest in the race for 2016 with NPR’s Tamara Keith and Paul Steinhauser of NH1. Tamara Keith, NPR White House correspondent. She tweets @tamarakeithNPR. Paul Steinhauser, political director for NH1 News Network in Concord, New Hampshire. He tweets @steinhauserNH1. This segment aired on August 14, 2015.